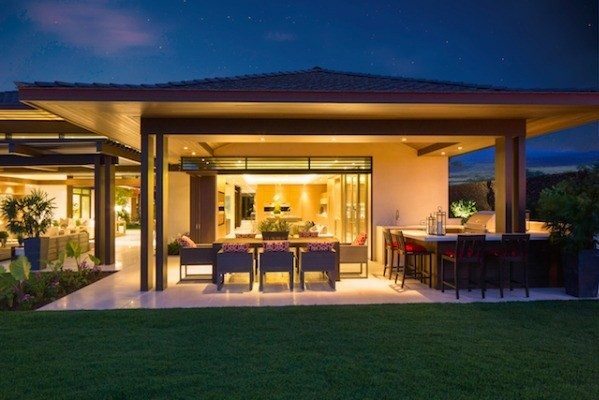 A truly unique offering, this custom, Hualalai Resort home boasts more than 6,400 sf of air-conditioned, open-concept living. 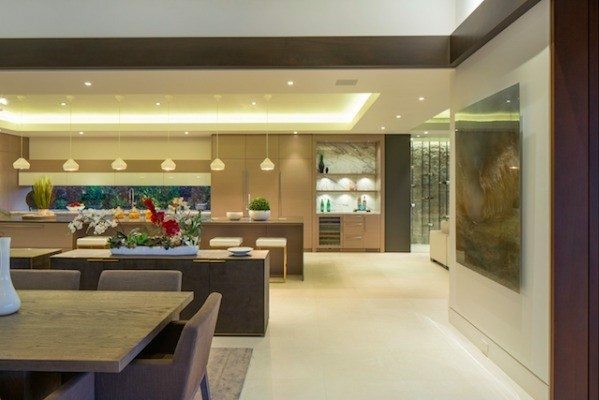 Featuring 5 luxuriously appointed bedroom suites and 5.5 bathrooms, this residence and its contemporary design were conceived by OpenSpace Architecture, a highly-regarded Canadian architectural firm. 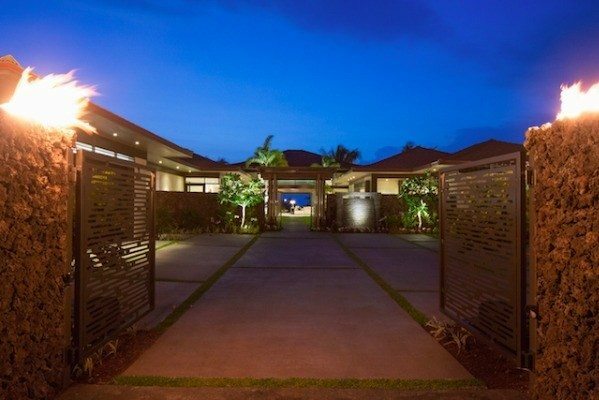 Distinctive iron entry gates access a private courtyard with a mahogany trellis and the gentle sounds of a ledgestone basalt water feature. 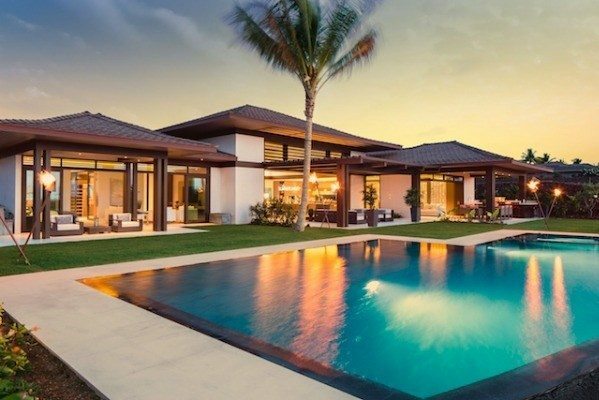 West-facing living areas and master suite open to an expansive lanai, an infinity-edge salt-water pool with over-sized spa, outdoor kitchen & bar. Enjoy outdoor dining with pleasant ocean and sunset views, over the Tom Weiskopf-designed Ke‘olu Golf Course. Vancouver-based Architerior Design inspired the luxurious interior with its neutral palette, featuring a gourmet chef’s kitchen with Calacatta marble counter tops and Wolf, Sub-Zero and Miele appliances. The kitchen opens to the spacious, west-facing dining room, great room and family room, which includes a climate-controlled wine room housing more than 700 vintages. This home offers up to 24-foot ceilings, with space-saving mahogany pocket doors, providing a seamless indoor/outdoor living experience. Beautifully appointed bathrooms feature Blu Bathworks™ fixtures and attractively landscaped shower gardens. Turkish limestone flooring, a Fond du Lac limestone wall, crafted mill work and trim throughout add to the appeal of this property, which includes custom furnishings on par with the design of the home. Over-sized windows maximize natural light, while automated shades keep the home cool. 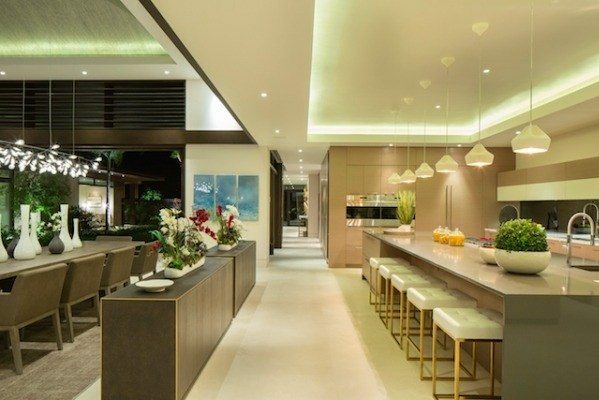 A Lutron lighting system highlights beautiful Hawaiian art and grasscloth coffered ceilings. 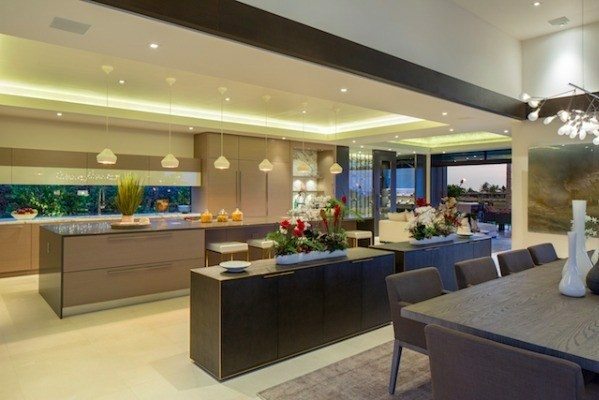 A private study, wireless sound system, and a self-contained Guest Suite with private entry and living/dining areas complete his exceptional offering. Landscaping includes grapefruit, lemon, lime and avocado trees. 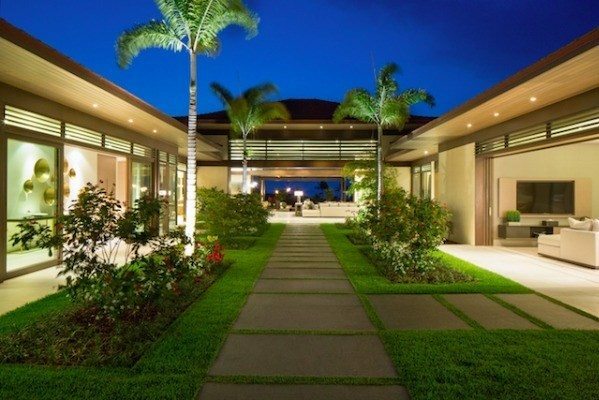 Truly a special home for those seeking the best of resort living!